I thought it would be fun to take a trip down memory lane! 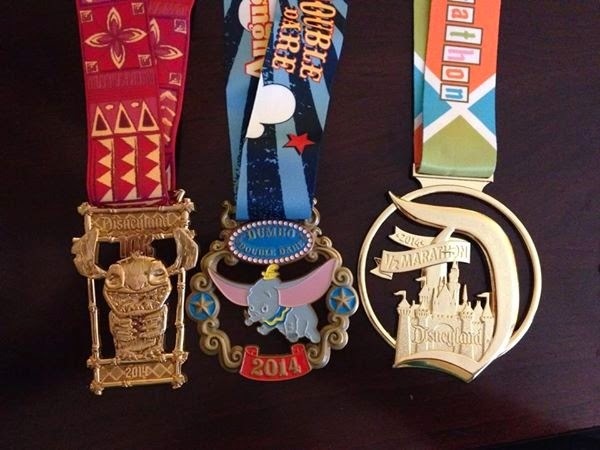 So from the very start of my running journey to the most recent, here are my completed runDisney events! My first ever run was also the craziest run! 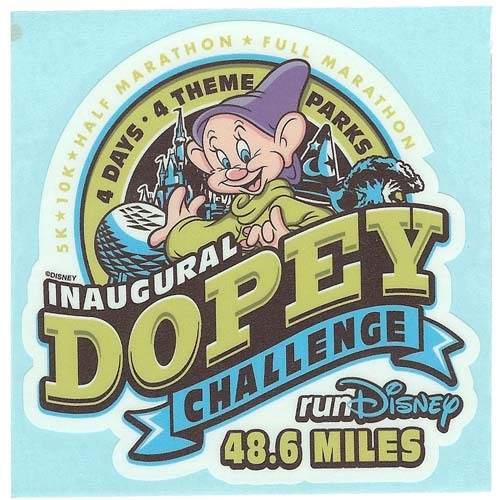 The Dopey Challenge was definitely going to be a challenge. I didn’t prepare at all for this run nor have i ever ran this much in my life! When i got there i literally went off of adrenaline from being in Walt Disney World for the first time! 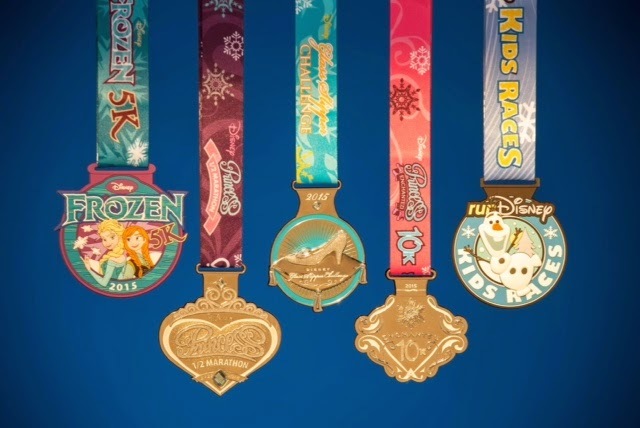 With this run i got my first set of medals…6 to be complete. 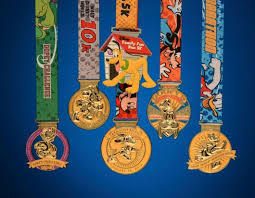 A 5k (3.1), a 10k (6.2), a half marathon (13.1), and a full marathon (26.2) and two completer medals The Goofy and the Dopey! This run was all on Walt Disney World property. We ran through all 4 theme parks and there were so many awesome sights, especially running on the race car track and seeing all the vintage cars. That was my second favorite thing about this run! 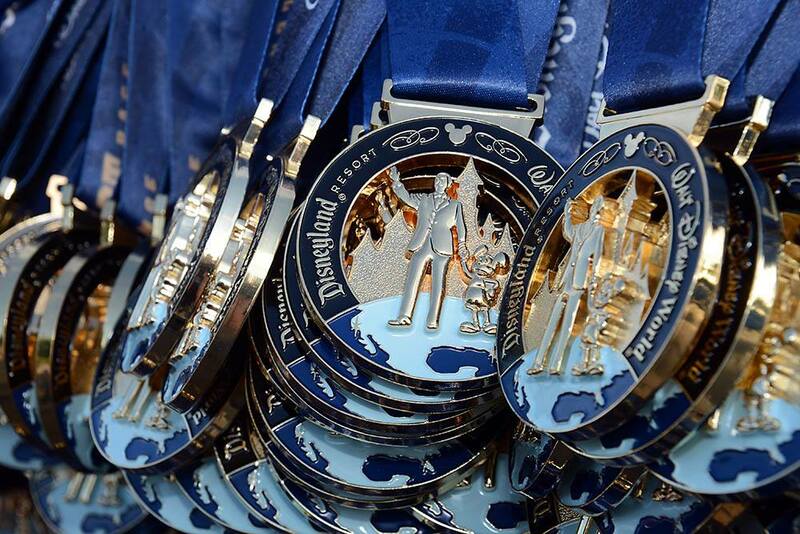 Obviously my first was completing all the runs and walking around the parks with these medals! Once again i decided on another challenge for my second run. 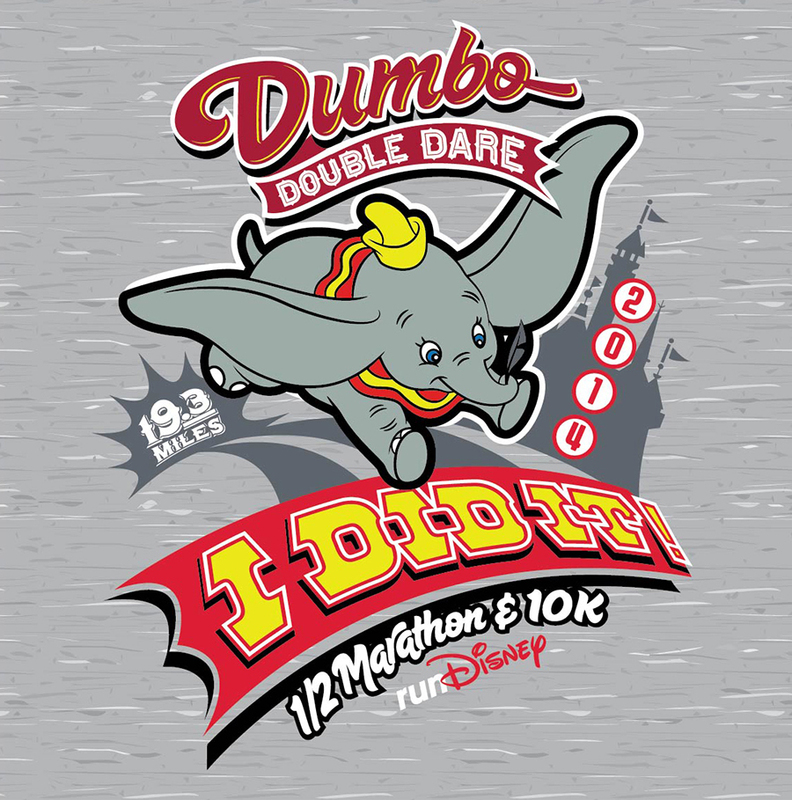 The Dumbo Double Dare, second run of the year and way less miles than The Dopey. I was awarded 3 medals for this run. The 10k and the Half marathon medal along with the completer medal for the Dumbo Double Dare Challenge. I decided i would give myself a slight break and not do the 5k. 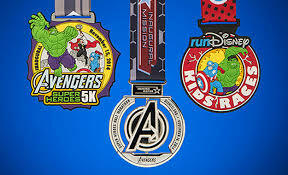 Because i ran two half marathons in one year at two different Disney parks, Disneyland and Walt Disney World, i was able to get a 4th medal. The Coast to Coast medal, which is really awesome! 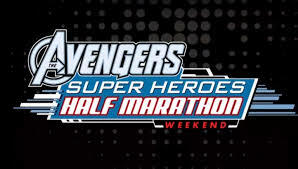 The inaugural Avengers Half Marathon weekend, in this run i decided again to skip the 5k and only do the Half Marathon. So i only got one medal, which is the first medal that i have that spins. Shockingly i missed having one full weekend of running, BUT non the less i had a lot of fun, this run and i got to spend more time in Disneyland! 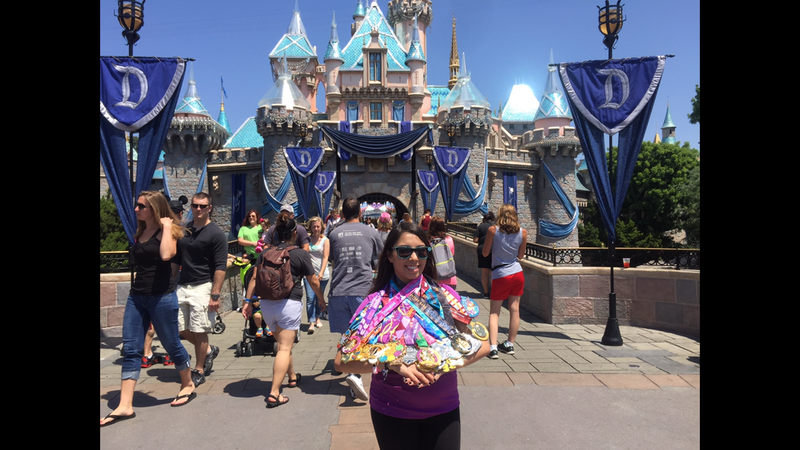 To kick off my 2015 year, it only felt right to start it off with the inaugural Rebel Challenge in Disneyland. Because Do or Do Not. 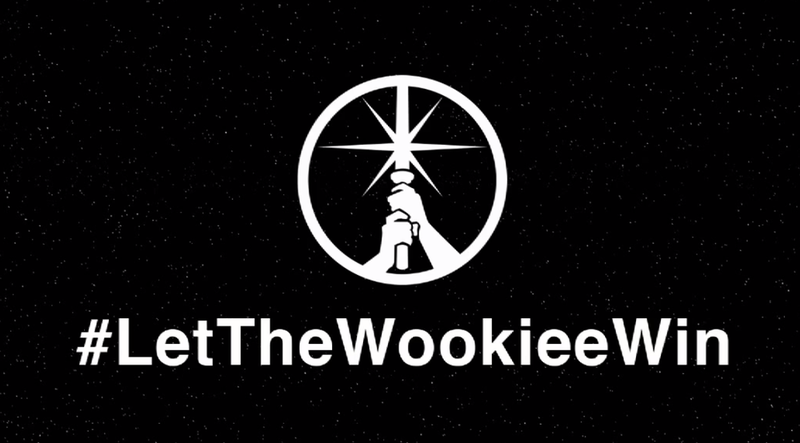 There Is No Try, and I love Star Wars! 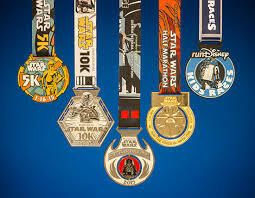 The Rebel Challenge consisted of a 10k, and a Half marathon and of course the completer medal. It was really cool too see everyone who was cheering us all on in costume. I even met Joey Fatone from Nsync, we were in the same corral and he was such an awesome guy. 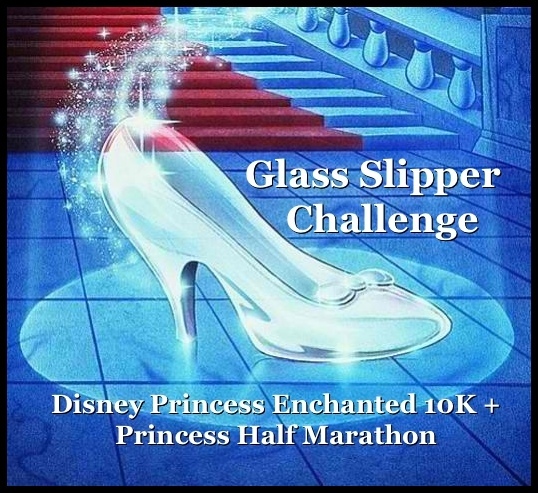 My next challenge was non other than the Glass Slipper Challenge. This challenge consisted of a 10k and a half marathon, BUT i decided i would do 5k with my Tia. So i got a total of 3 medals, plus the completer medal. Frozen fun was definitely a freezing run…well Elsa was there so the whole weekend was really really cold especially at 5am in the morning. 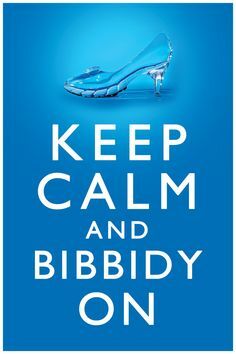 But in liked running in the cold, i feel like i have my better times when its colder out…So thank you Elsa! 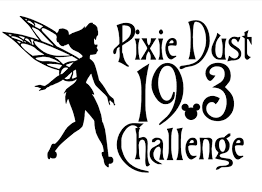 The Inaugural Pixie Dust Challenge a 10k and a Half Marathon to get all the pixie power completer medal. Because i love Peter Pan i had to make sure i did the Neverland 5k, which was completely different than the Walt Disney World 5k because they don’t have corrals for this run. There were Peters shadow throughout the run and every time you came across one you had to crow! IT WAS AWESOME!! Now this run i got 5 medals. 5k, 10k, half, completer and the Pink C2C. 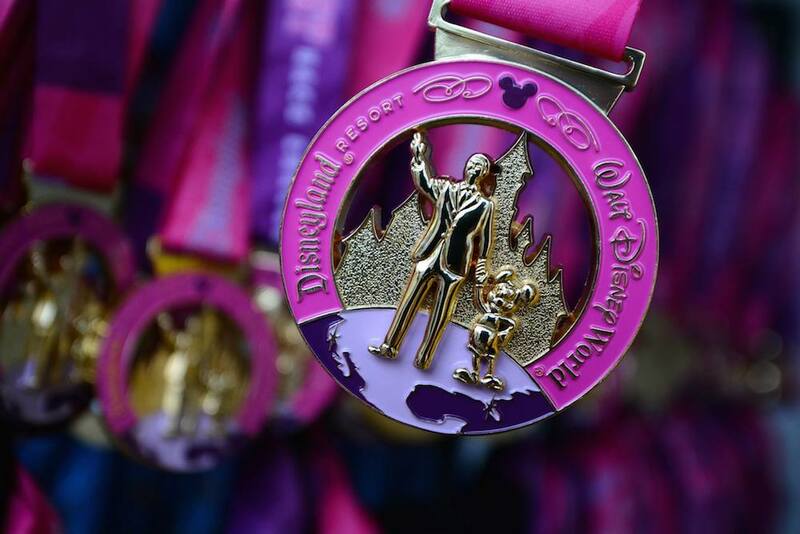 You can only get the Pink C2C medal when you complete the princess half marathon and the Tinker Bell half! Getting this medal was pretty awesome because a lot of people at the run didn’t know about this c2c medal, so it was fun to explain it to them and know they were going to get it the next time around! Although i have completed these runs, my running days are not over. 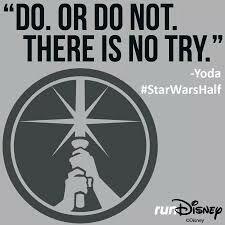 I still have a lot of runs i would like to do, and my next run is The Inaugural Disneyland Paris Half Marathon. So see you at the finish line.